In the heart of rural Northumberland in the village of Chatton you’ll find The Percy Arms; an ideal place to visit, dine or stay in luxury. Take a drive Northbound on the A1 from Morpeth (a mere 36 miles), follow the signs for Chillingham Castle and you’ll descend on the peace and tranquillity of Chatton. On your drive there, you’ll witness the spectacle of the Cheviot Hills, the varied hues of the grasses and heaths and appreciate the true splendour of our county. 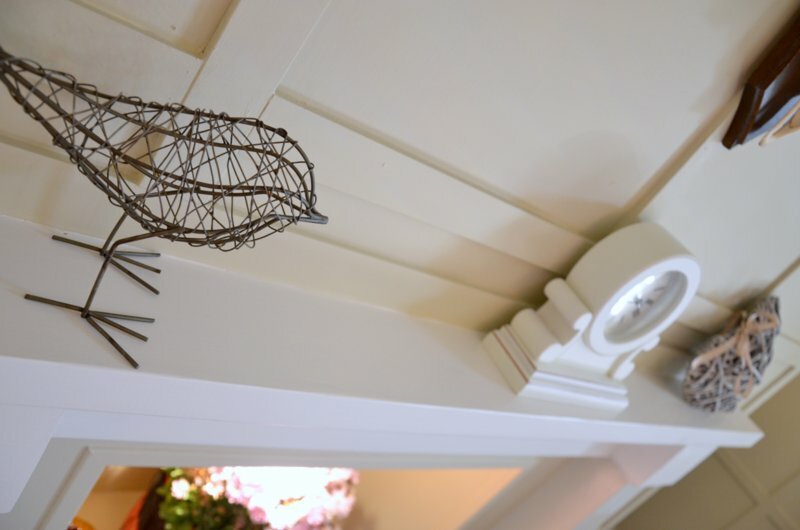 The Percy Arms is the ideal place to visit or stay for those looking for a relaxing break in informal but luxurious surroundings in the Northumberland countryside. The Percy Arms is in close proximity to some fantastic places including the spectacular Northumberland coastline, National Park, fine Castles and country houses, splendid churches and delightful towns and villages. There are 7 golf courses within easy reach and many fine walks to be enjoyed in and around the village of Chatton itself with elevated viewpoints over the surrounding countryside. Chillingham Castle and the famous Wild Cattle of Chillingham (the last in the world) are just 2 miles to the south. At the coast you will find the tidal island of Lindisfarne, with its own priory and castle. Take a boat trip to the Farne Islands and see the celebrated bird-life and the Longstone Lighthouse, home of Grace Darling. Then there are the spectacular castles of Bamburgh and Dunstanburgh and miles and miles of unspoilt beaches such as Bamburgh, Embleton Bay, Druridge Bay, Alnmouth and Low Newton-by-the-sea. Owners of The Northumberland Arms have taken over and beautifully re-furbished this proud fronted village pub in a style which is both fitting and accepting of the pub’s heritage. 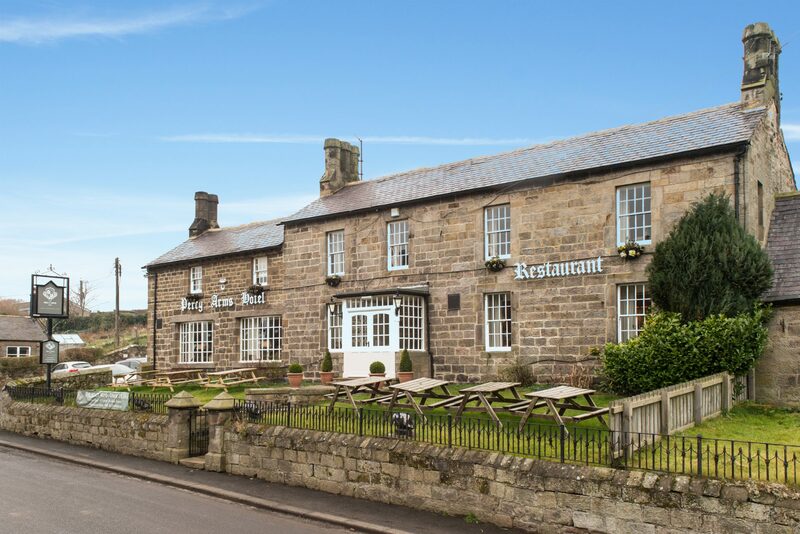 The ethos of the new owners is to act as custodians of the (1900’s) village pub – and not to re-invent the wheel, rather to celebrate Northumberland, its heritage and all it has to offer. 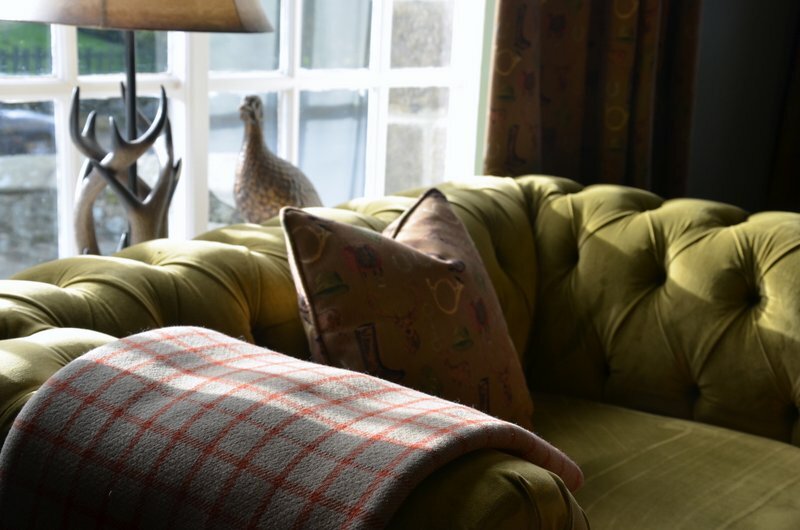 Upon entering the dog-friendly bar area, guests are greeted with cosy hues of greens and tartans, comfy Chesterfield sofas, combined with a mix of newly covered chairs in rich tartan fabrics and delightful drapes depicting hunting scenes complete with horns, horseshoes, riding crops and wellies! 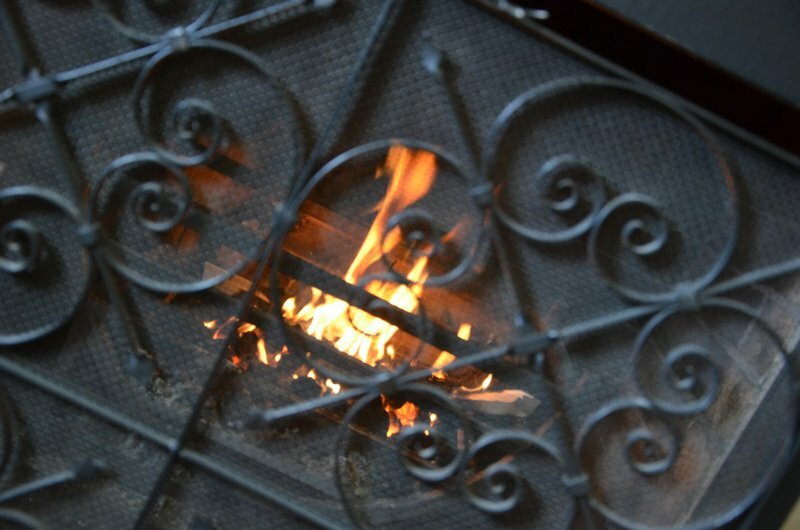 A large roaring fire is both warming and mesmerizing. 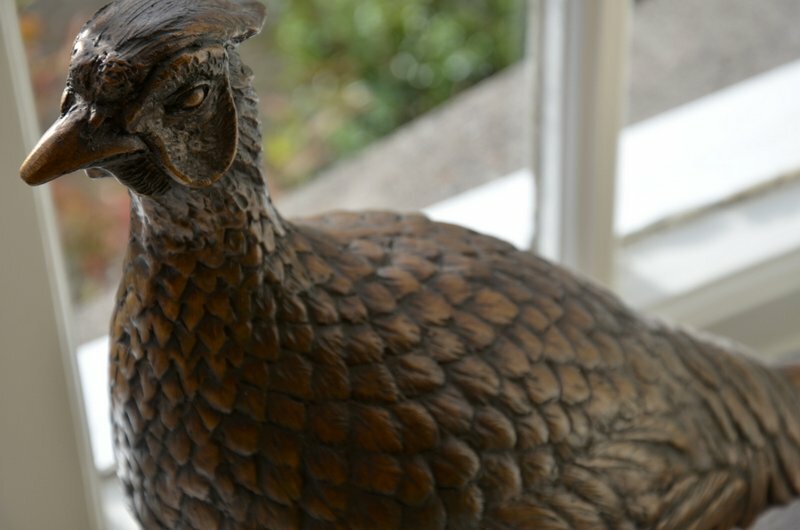 An underlying theme of Hares, Deer, Rabbit and Pheasant are prevalent and perfectly positioned throughout; as well as countrified wallpapers and framed sepia pictures, further enhancing old Northumberland; a treasured bygone era. Through from the bar to the left, pass the resident dart board and through to ‘the in-between’, a relaxing chocolate brown colour palette will embrace diners in a warm and inviting eating area, with Travertine floor tiling, complete with corner ‘church pugh’ style banquette – great for either lunch or dinner in a slightly quieter area. 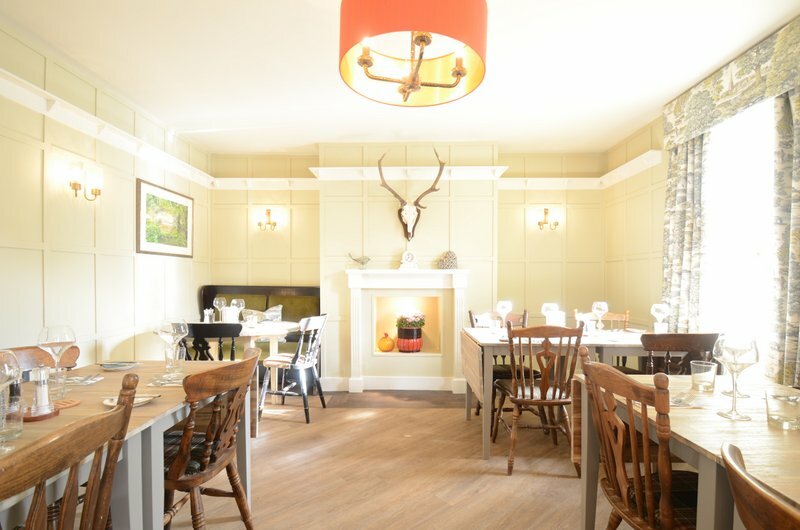 Pass through to a 30 seat function room complete with potbellied stove and full feature ‘log effect’ wall – a perfect venue for that special private event. To the right of the bar is our delectable 28+ seat restaurant; food is served throughout from 12 noon until 9pm. An extensive combination of seasonal, locally sourced produce presenting everything from hearty soups with homemade breads, appetising meat and fish planks, homemade ‘stacked’ burgers and sandwiches and for the heartier appetite, best quality steaks, traditional beer battered Fish & Chips and warming Shepherd’s Pie. In short, something for everyone. Daily specials will also be available – check our blackboard for details. For our discerning guests who still have room, we have an extensive homemade dessert menu with a full repertoire of Doddingtons Ice Creams, etc etc. 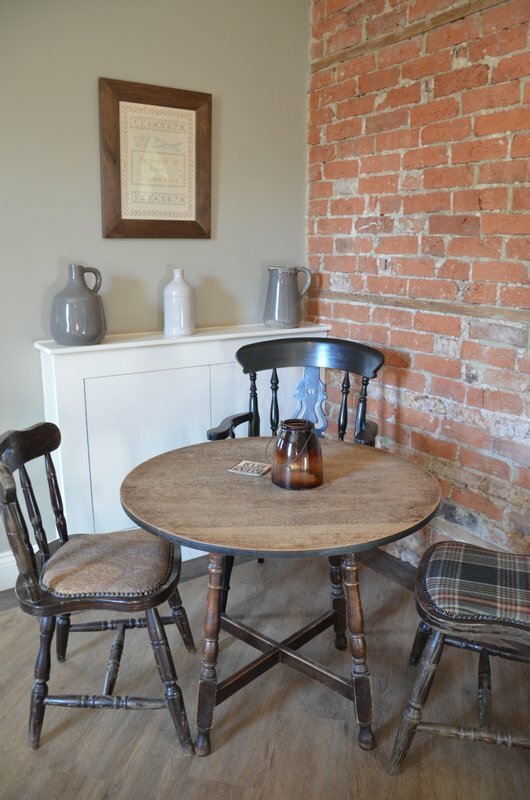 The overall style is in keeping with a traditional village pub and reflective of the owners’ eclectic, yet traditional styling, retaining as many original features as possible. Although not essential, reservations are always recommended! Discover our five luxurious En Suite bedrooms at The Percy Arms. Available in the Bar and Restaurant throughout the day from 12 noon until 9pm. Served each week in the Bar or the Restaurant, browse our Sunday Lunch menu. In the heart of rural Northumberland in the village of Chatton you’ll find The Percy Arms; an ideal place to visit, dine or stay in luxury. Take a drive Northbound on the A1 from Morpeth (a mere 36 miles), follow the signs for Chillingham Castle and you’ll descend on the peace and tranquillity of Chatton. On your drive there, you’ll witness the spectacle of the Cheviot Hills, the varied hues of the Autumnal grasses and heaths and appreciate the true splendour of our County.